Stuntwoman turned leading lady Zoë Bell and filmmaker turned villain Nacho Vigalondo star in Camino, which our own Michele "Izzy" Galgana liked quite a bit, stating in part: "The dichotomy of loss and sorrow against action in this survivalist adventure is what allows the film to work; this isn't some Chuck Norris film (however entertaining those can be)." The setup is that Bell is "an award-winning photojournalist who gets pulled into a job in Colombia photographing freedom fighters." Vigalondo portrays their leader, a charismatic sort with a strong will who will let nothing stop him from accomplishing his own goals. We have an exclusive clip from early in the film, focusing on a more intimate moment involving Ms. Bell. It's a key moment that will have repercussions throughout the balance of the story. You can watch the clip below. 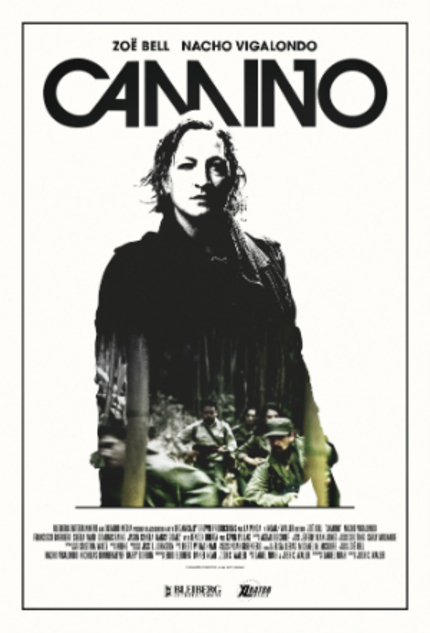 Camino will open in select theaters on March 4 and on VOD and iTunes on March 8 via XLrator Media.